At the end of the rainbow a pot of gold is waiting for you and the Lucky Leprechaun Slot can help you win it! Give the reels of this mobile slot a spin and trigger multiple bonus features including the Trail O’ Fortune Bonus in which your goal is to actually move along a trail to reach the gold at the end. Green and gold will become your favorite colors after you play this Irish-themed mobile video slot from Microgaming. 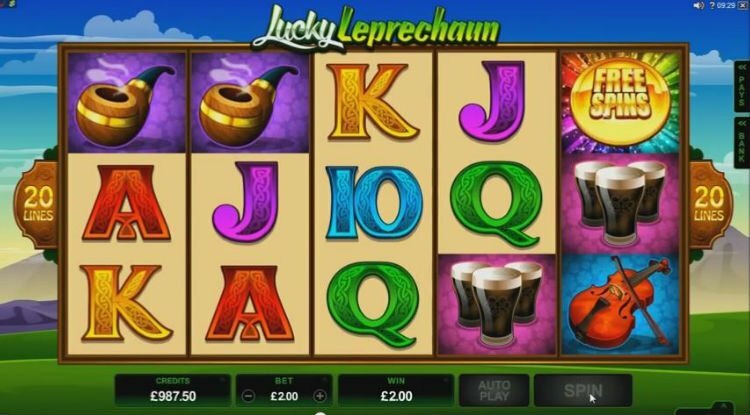 The Lucky Leprechaun slot machine has been designed with 5 reels and 20 paylines and its various bonus features, including scattered symbols, stacked wilds, free spins, and multipliers, provide you with more than one way to find your fortune at the end of the rainbow. Set against the backdrop of a perfect sunny day with blue skies and rolling green hills, the reels of the Lucky Leprechaun slot are vibrant and cartoonish. The graphics are fairly basic, but the images on the reels suit the theme perfectly. You’ll see the Leprechaun, a pipe, pints of Guinness, a clover leaf, a fiddle, a pot of gold, etc. You can enjoy this exciting Lucky Leprechaun Fruits Game on your iPhone, iPad or Android mobile device. Spin the reels and you may find yourself on a magical Irish adventure that not only leads to fun but also puts you on a gold trail where you can grab your fortune. 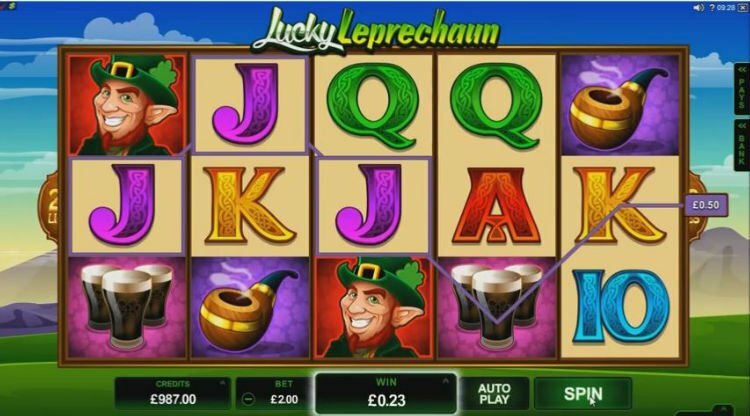 As you will discover in this Luck Leprechaun slot review, the game has multiple bonus features. One of the Lucky Leprechaun bonuses is the Trail O’ Fortune. This bonus is triggered when 3, 4, or 5 pots of gold symbols appear anywhere on the five reels. In this bonus game, you will receive 4, 5, or 6 spins of the dice and move along the trail by 1 to 5 squares. Each square features an amount that you could win and could become bigger if activated by more symbols. When activated by 3 symbols, the pot of gold at the rainbow’s end is 500 times your bet, but when triggered with 5 symbols, the pot is 1,000 times your entire bet. There is also a Free Spins game. 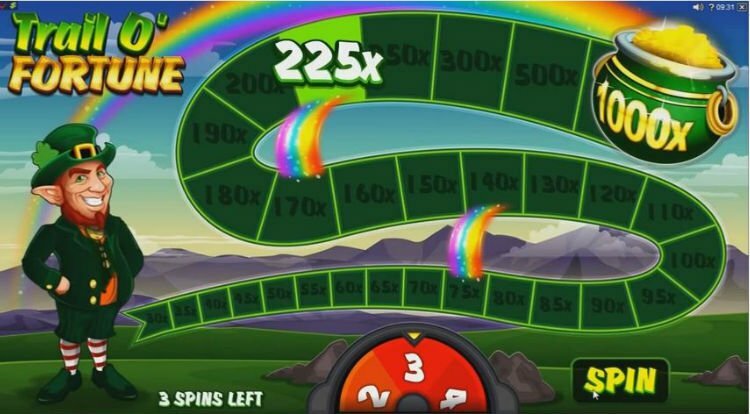 If you score the four leaf clover on reel 5, you be awarded with 5 free spins and 2x multiplier. Gold and green clovers can attach to low symbols during the free spins round. The gold awards an additional 1x multipler (as many as 5x) and the green clover will give you an extra free spin.